1. Society of American Endoscopic Surgeons. Guidelines for the surgical practice of telemedicine. Surg Endosc 2000; 14:975-979. 2. Allen D, Bowersox J, Jones GG. Telesurgery. Telepresence. Telementoring. Telerobotics, Telemed Today 1997; 5:18-20. 3. Kavoussi LR, Moore RG, Partin AW, Bender JS, Zenilman ME, Satava RM. Telerobotic assisted laparoscopic surgery: initial laboratory and clinical experience. Urology 1994; 44:15-19. 4. 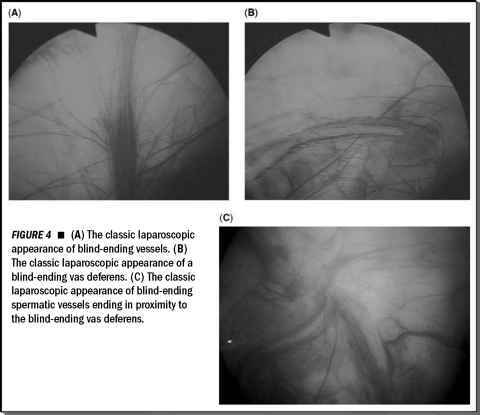 Moore RG, Adams JB, Partin AW, Doumo SG, Kavoussi L. Telemontoring of laparoscopic procedures: initial clinical experience. Surg Endosc 1996; 10:107-110. 5. Rosser JC, Wood M, Payne JH, et al. Telementoring: a practical option in surgical training. Surg Endosc 1997; 11:852-855. 6. Janetschek G, Bartsch G, Kavoussi LR. Transcontinental interactive laparoscopic telesurgery between the United States and Europe. J Urol 1998; 160:1413. 7. Cubano M, Poulose B, Talamini M, et al. Long distance telementoring: a novel tool for laparoscopy aboard the USS Abraham Lincoln. Surg Endosc 1999; 13:673-678. 8. Lee BR, Bishoff JT, Janetschek G, et al. A novel method of surgical instruction: international tele-mentoring. World J Urol 1998; 16:367-370. 9. Taniguchi E, Ohashi S. Construction of a regional telementoring network for endoscopic surgery in Japan. IEEE Trans Inf Technol Biomed 2000; 4:195-199. 10. Bauer JJ, Lee BR, Bishoff JT, Janetschek G, et al. International surgical telementoring using a robotic arm: our experience. Telemed J 2000; 6:24-31. 11. Micali S, Virgili G, Vannozzi E, Grassi N, et al. Feasibility of telementoring between Baltimore (USA) and Rome (Italy): the first five cases. J Endourol 2000; 14:493-496. 12. Bove P, Stoianovici D, Micali S, Patriciu A, et al. Is telesurgery a new reality? Our experience with laparoscopic and percutaneous procedures. J Endourol 2003; 17:137-142. 13. Rodrigues Netto N Jr, Mitre AI, Lima SV, et al. Telementoring between Brazil and the United States: initial experience. J Endourol 2003; 17:217-220. 14. Sebajang H, Hegge S, McKinley C, Anvari M. Telementoring: an important enabling tool for the community surgeon [abstr]. Surg Endosc 2004; 18(suppl):S284. 15. Eadie LH, Seifalian AM, Davidson BR. Telemedicine in surgery. Br J Surg 2003; 90:647-658. 16. Broderick TJ, Harnett BM, Merriam NR, et al. Impact of varying transmission bandwidth on image quality. Telemed J 2001; 7:47-53. 17. Marescaux J, Leroy J, Rubino F, Smith M, et al. Transcontinental robot-assisted remote telesurgery: feasibility and potential applications. Ann Surg 2002; 235:487-492. 18. Pirisi A. Telerobotics brings surgical skills to remote communities. Lancet 2003; 361:1794-1795. 19. Anvari M, McKinley C, Stein H. Establishment of the world's first telerobotic remote surgical service: for provision of advanced laparoscopic surgery in a rural community. Ann Surg. 2005; 241: 460-464. 20. Fabrizio MD, Lee BR, Chan DY, Stoianovici D, et al. Effect of time delay on surgical performance during telesurgical manipulation. J Endourol 2000; 14:133-138. 21. Ballantyne GH, Kelley WE. Granting clinical privileges for telerobotic surgery. Surg Laparosc Endosc Percutan Tech 2002; 12:17-25.